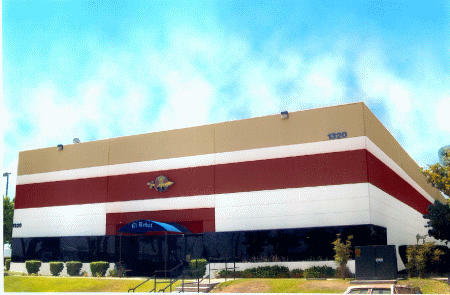 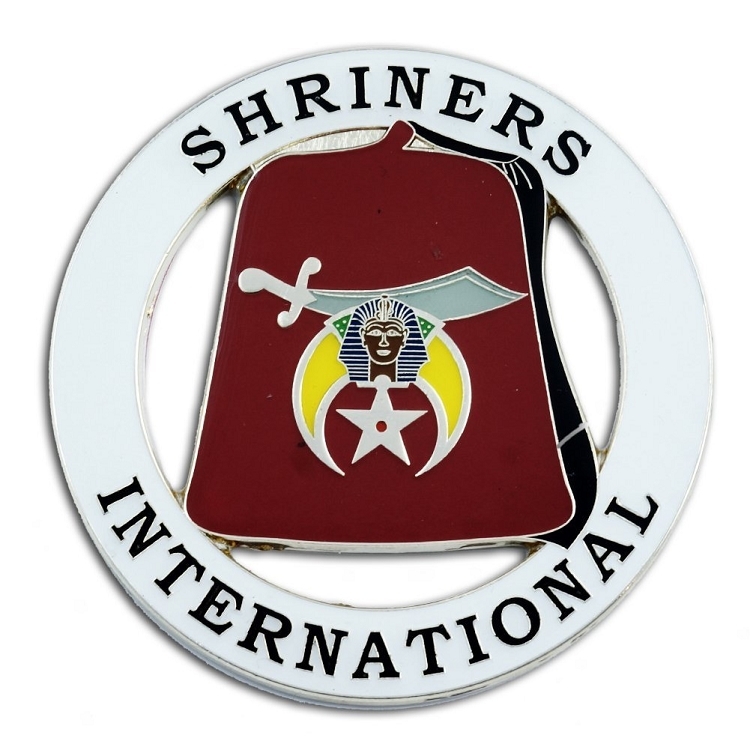 Shriners International is a society founded in 1870 based on Freemasonry principles. 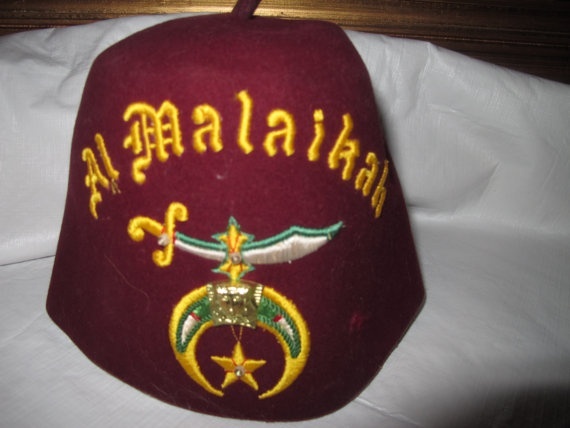 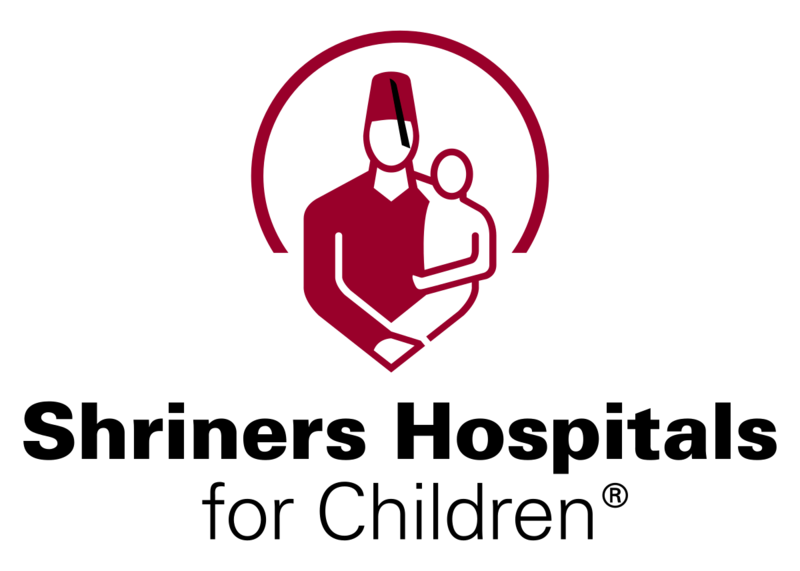 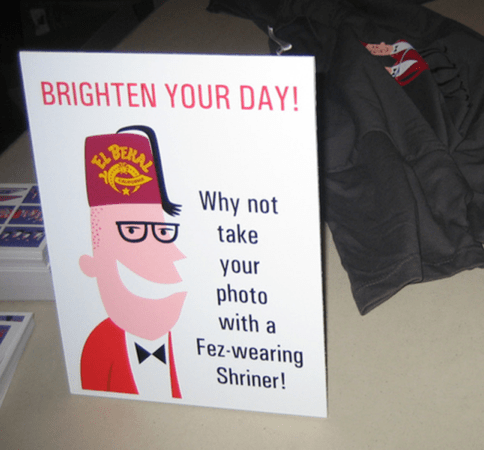 The Shriners, as they are more commonly known, is a “fraternity based on fun, fellowship, and the Masonic principles of brotherly love, relief, and truth“. 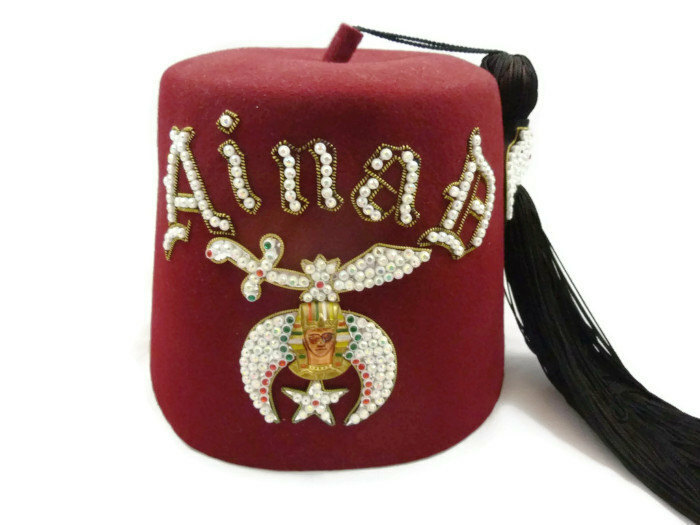 The international organization has around 200 shrine centers and 350,000 members. 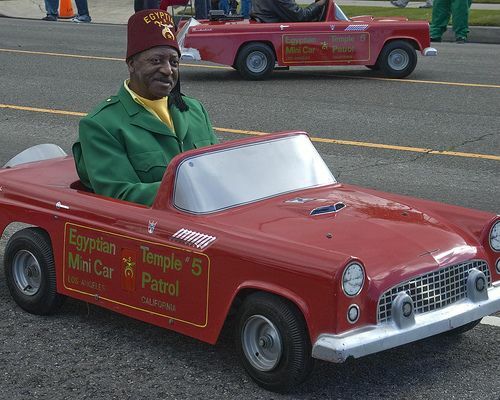 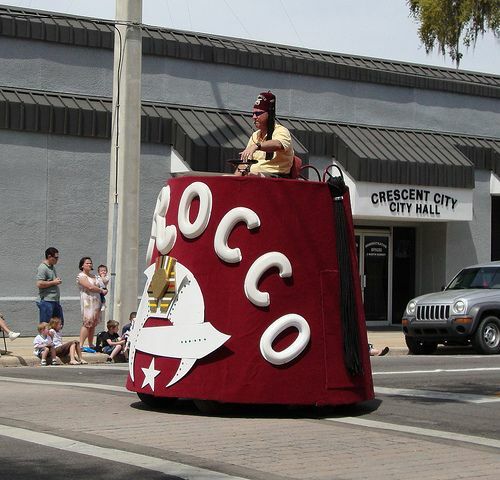 People are likely to recognize Shriners from the member’s red fezzes, the Shriners Hospitals for Children, and for the parades they take part in. 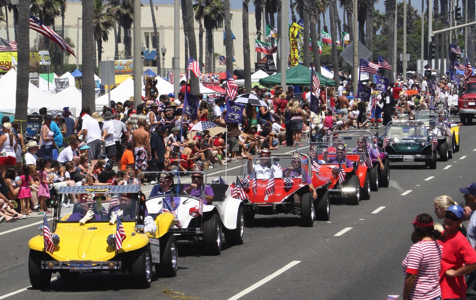 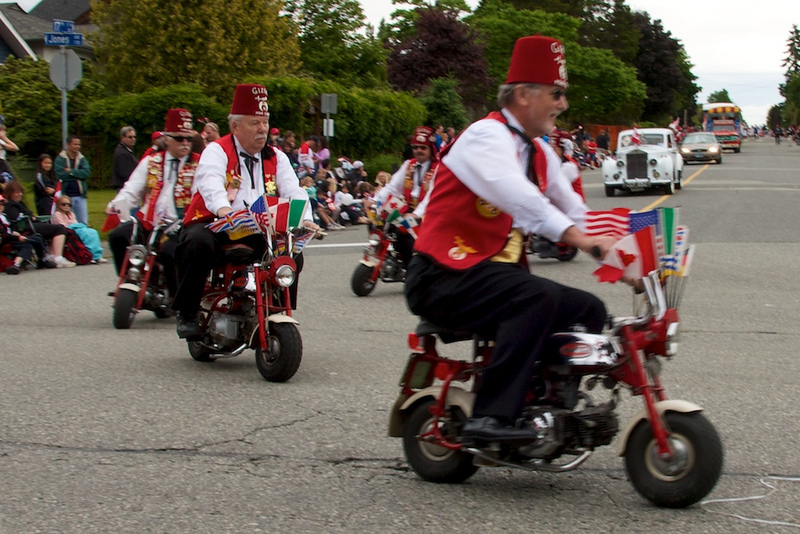 The parades typically feature miniature vehicles, oriental and brass bands, clowns, and motorcycle units. 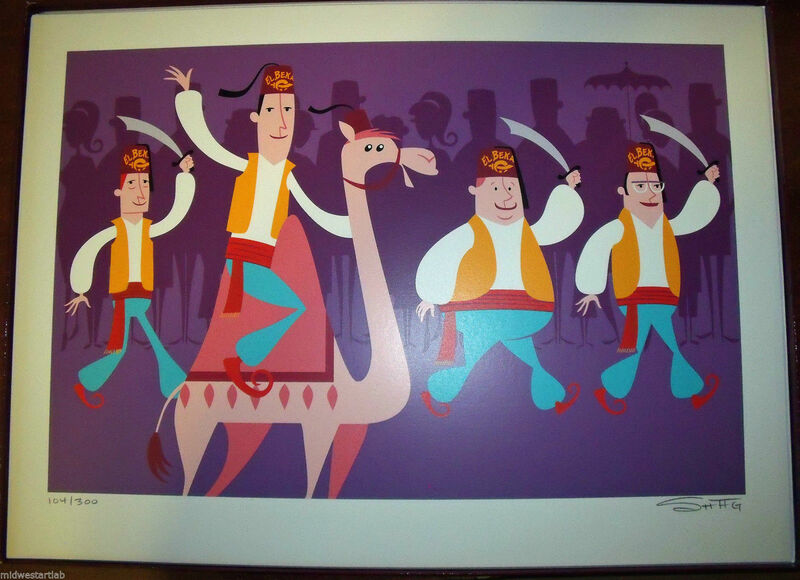 The parade units supported by most Shrine templates are celebrated in a series of six prints by Shag. 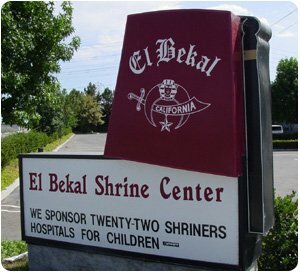 Josh Agle collaborated with Bill Beeps Salpaka, Potentate of Southern California Shrine El Bekal, to organize a unique art exhibit at the El Bakal Temple in Anaheim, California. 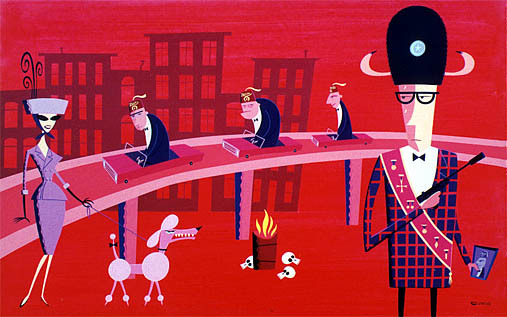 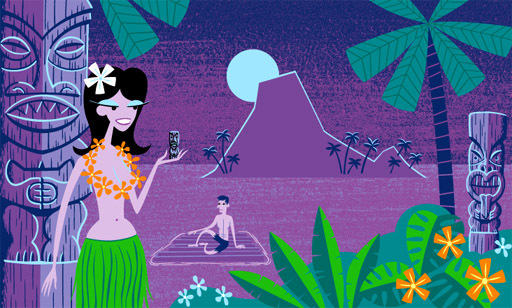 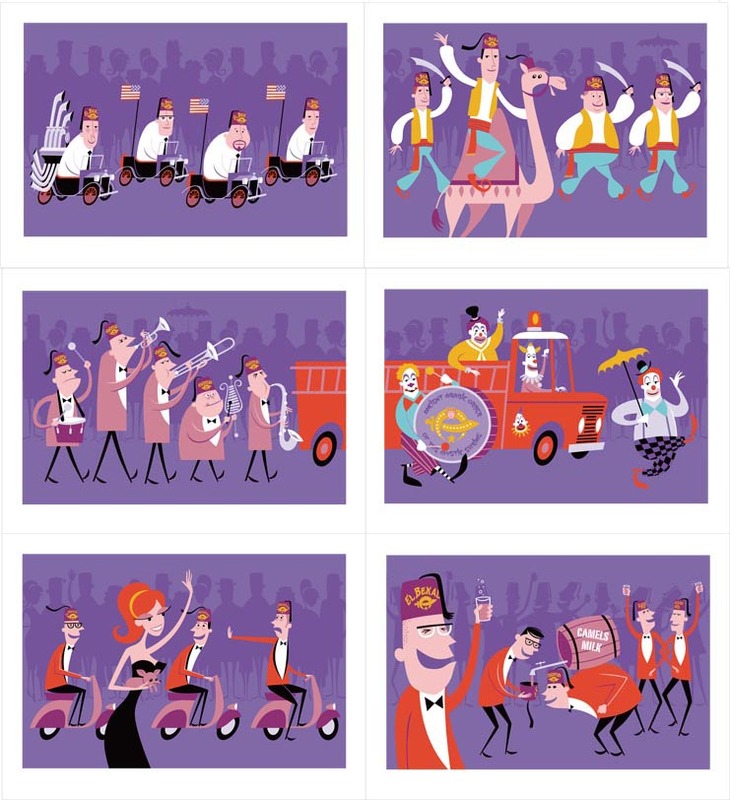 The Shriner Art of Shag Exhibition featured Shag’s Shriner-inspired works including the new parade series of work, four digital prints on canvas, and twelve limited-edition prints. 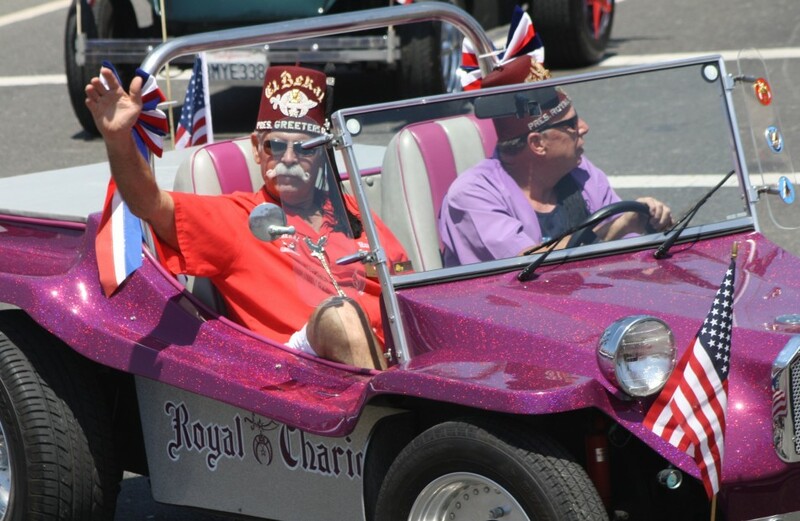 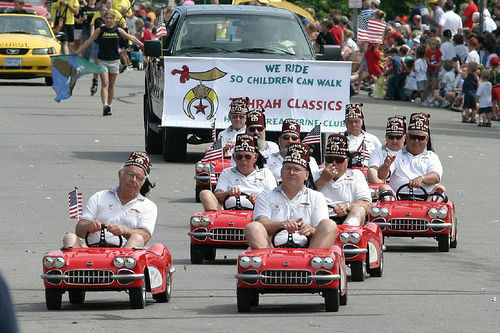 Additionally, the Shriners exhibited items from their parades and pageantry, including gas-powered parade cars. 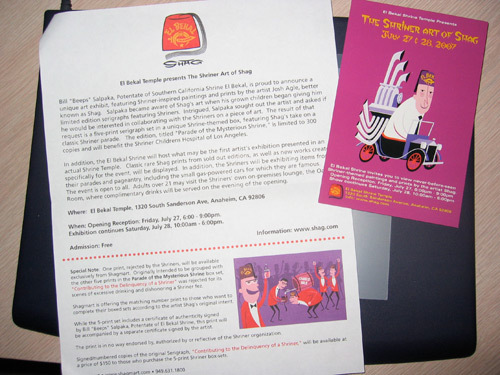 The 2007 show had its opening reception on Friday, July 27th with the exhibition itself on Saturday, July 28th. 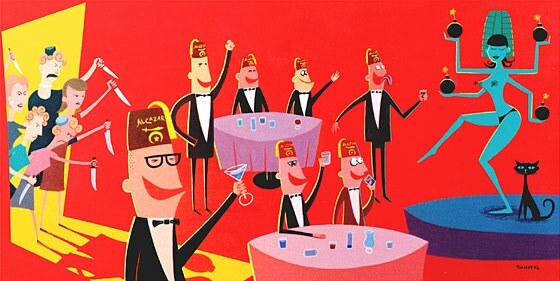 Admission was free and open to all, with adults (over 21) permitted to visit the Shriners’ on-premise lounge, the Oasis Room, where at the opening complimentary drinks were served. 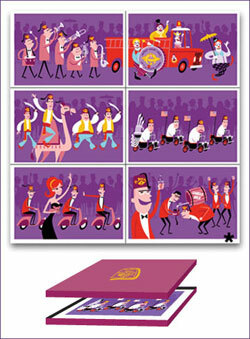 Shag created a five-print Parade of the Mysterious Shrine eleven-color serigraph set housed in a unique Shrine-themed box. 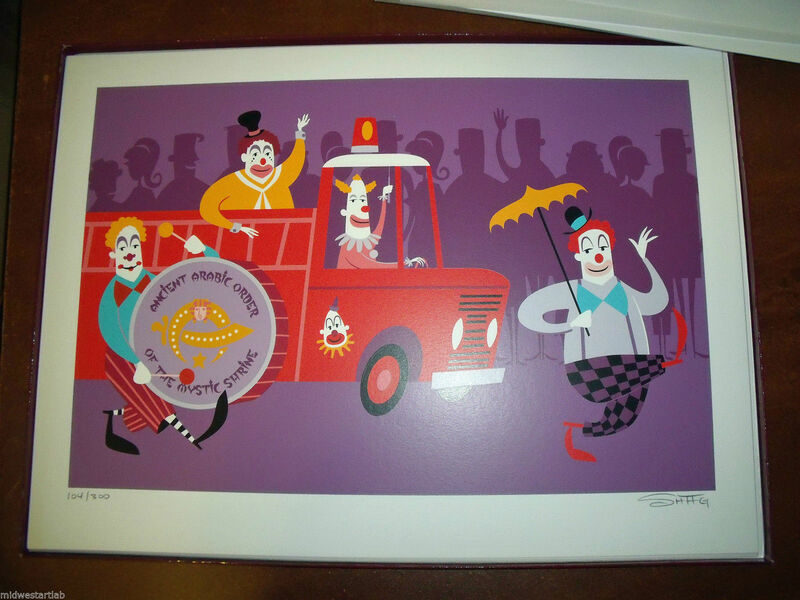 The portfolio was limited to 300 copies (plus 30 artist proofs and 5 printer proofs) with the $750 USD cost benefiting the Shriners Children’s Hospital of Los Angeles. 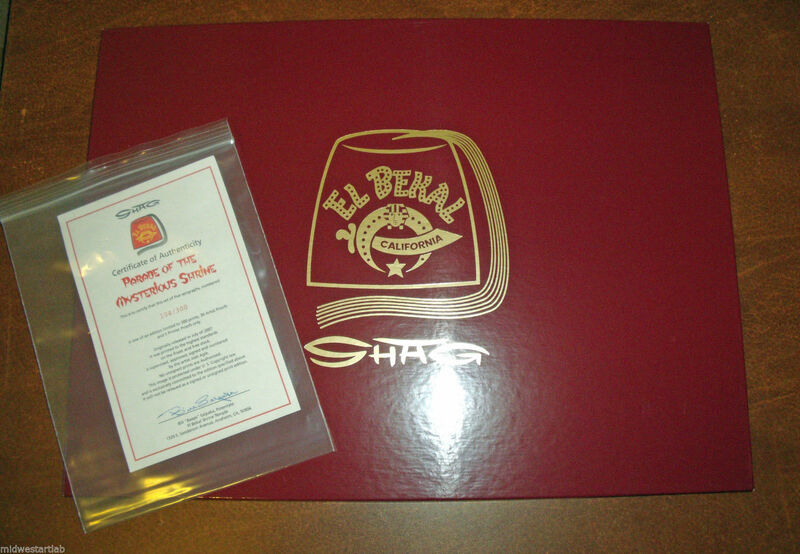 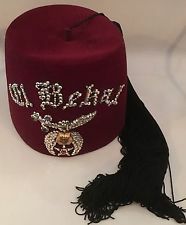 The 21″ by 15” five-print set contained a certificate of authenticity signed by Bill Salpaka, Potentate of Southern California Shrine El Bekal. 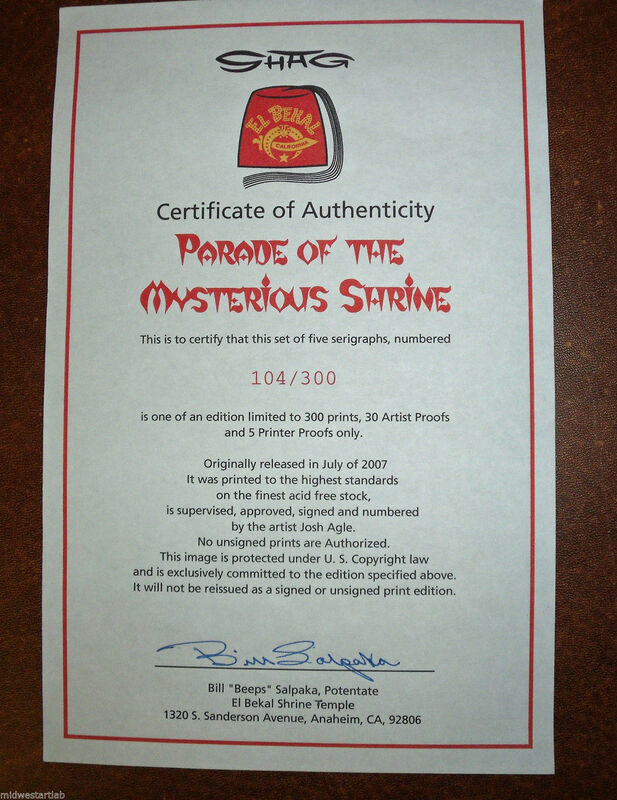 Each set included a sticker commemorating the mystic shrine. 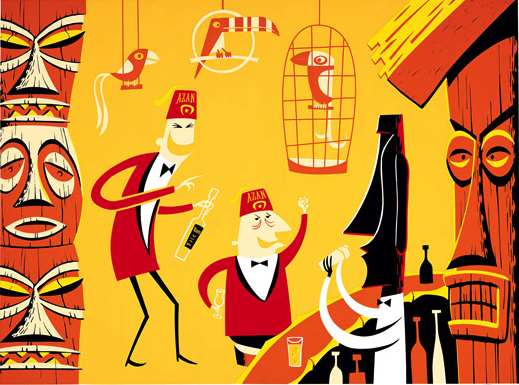 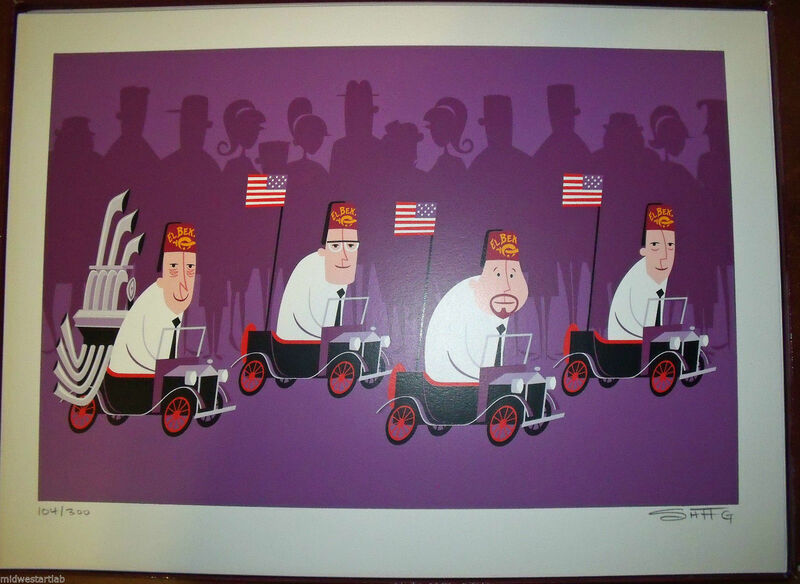 A sixth serigraph print, Contributing to the Delinquency of a Shriner, was rejected by the Shriners due to its “depiction of excessive drinking”. 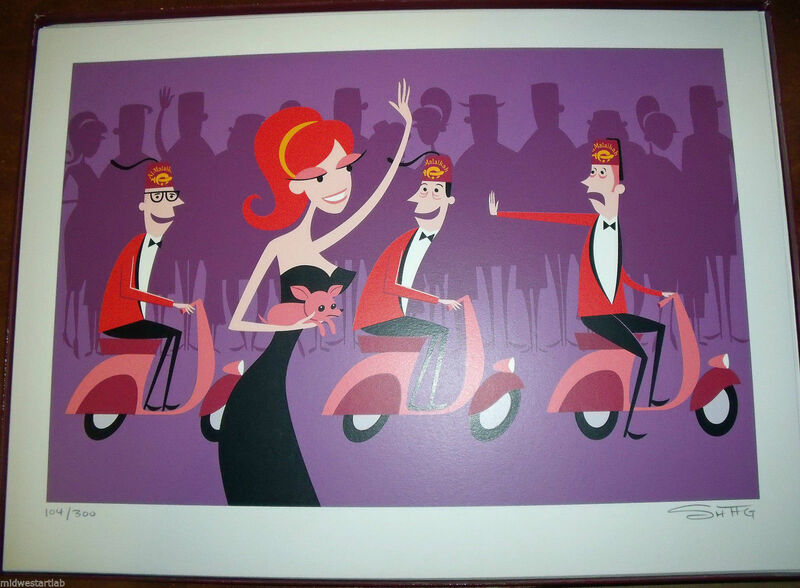 This sixth was available direct from the Shag Store with a matching number, accompanied by an artist signed certificate of authenticity, for $150 USD. 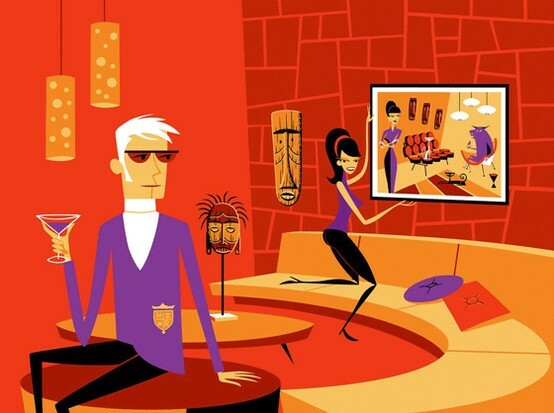 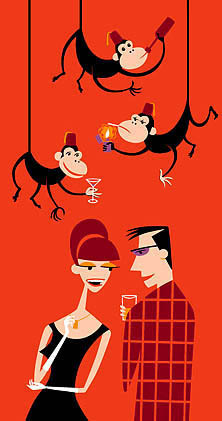 The Shriner Art of Shag Exhibition included four large archival digital prints on canvas, each in a very limited edition of just five. 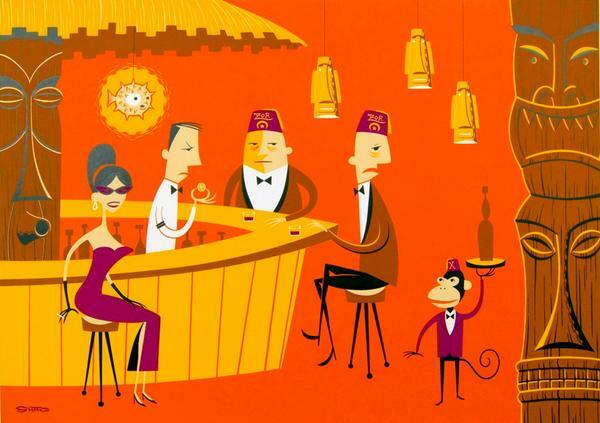 Please send me an e-mail if you have a photograph of Mind the Monkeys or The Celebrated Daredevil of El Bekal. 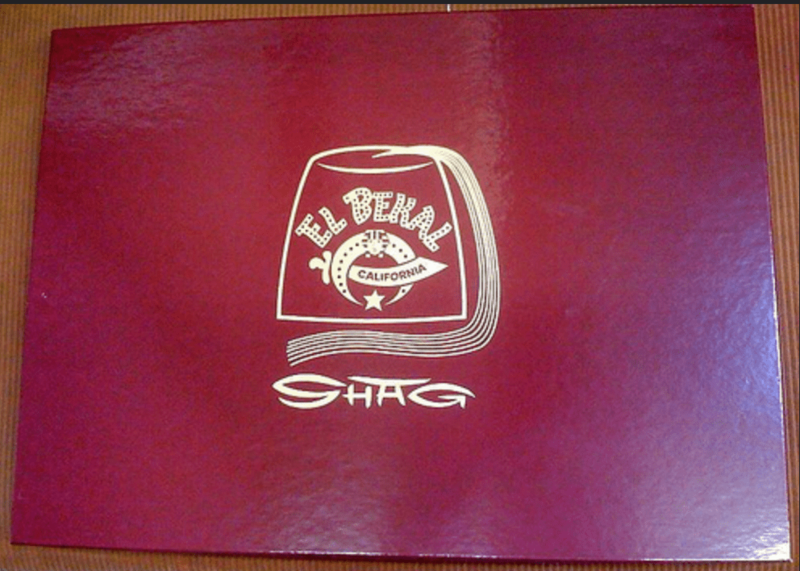 An El Bekal T-Shirt was also designed by Shag in a limited edition. 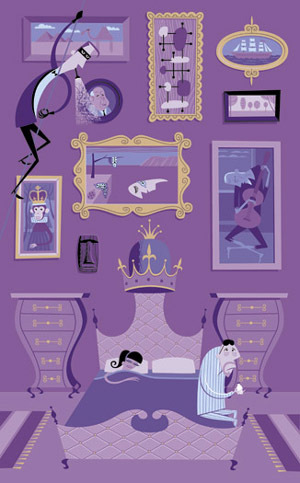 The four colors on gray T-Shirt cost $20 USD. 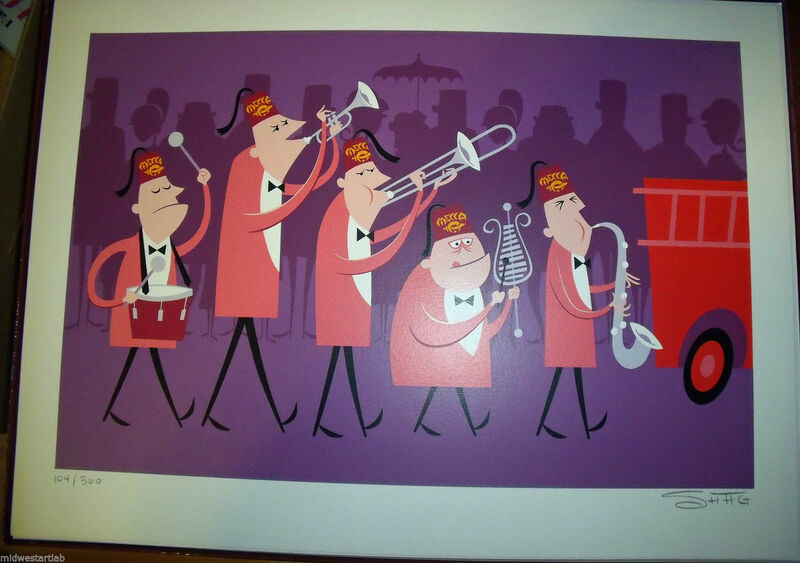 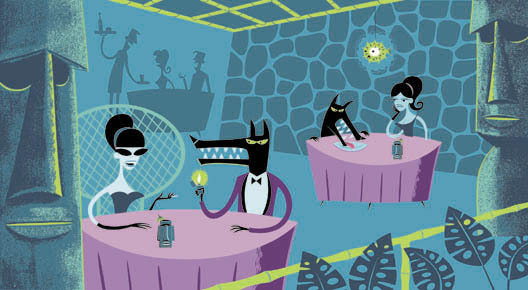 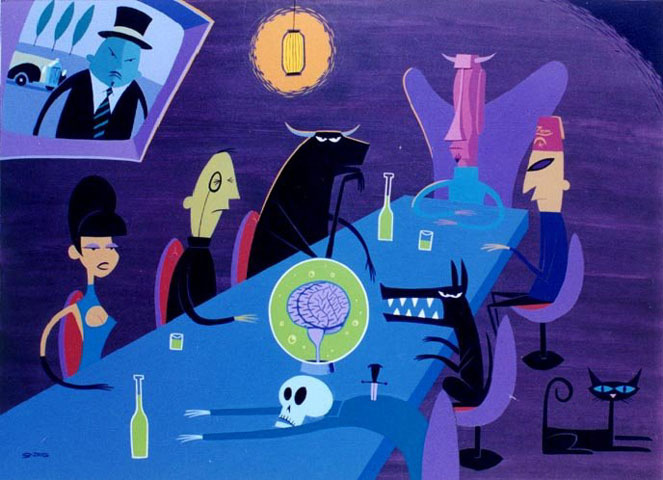 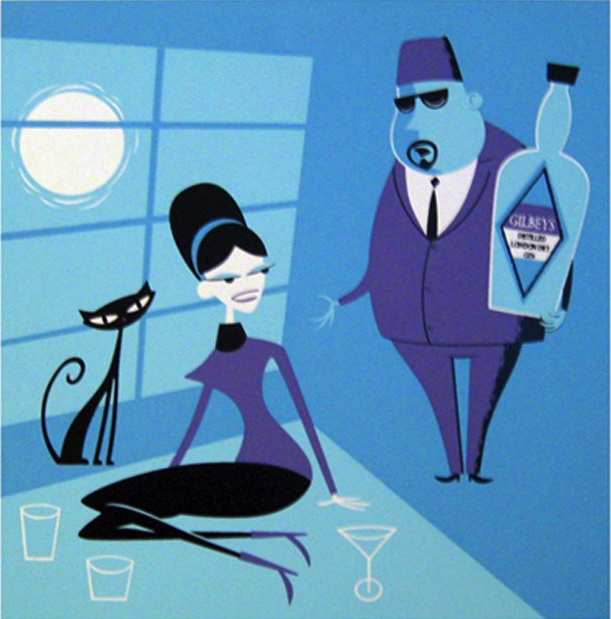 The Shriner Art of Shag Exhibition also included eleven limited edition prints, mostly as rare artist proofs from sold-out editions. 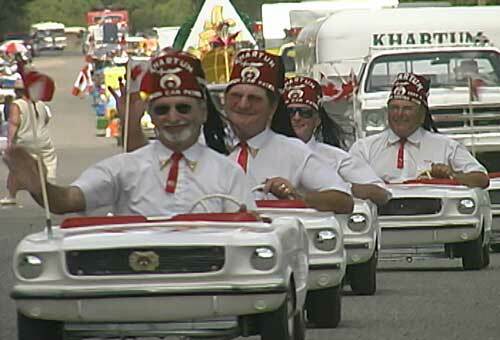 And to end, who doesn’t like to see the Shriners in a parade?